2. Select Unpaid or Paid from the expanded left menu. 3. 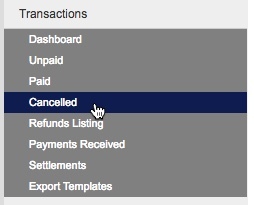 Find the transaction that you wish to cancel in the Transactions listing. Use the Search function if you have more than one page of transactions. 4. 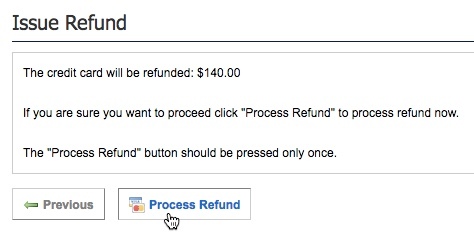 Click Cancel next to the transaction you wish to cancel. Update the financial status to make this member unfinancial, and take the date back to the last date that the Member was financial. 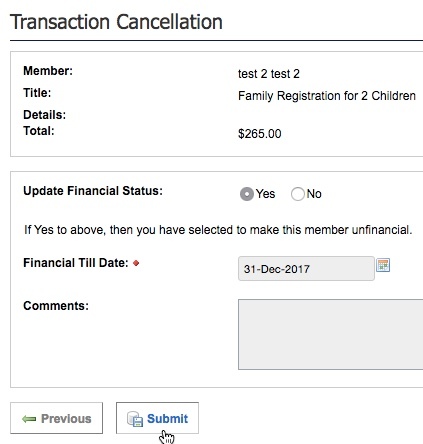 If you can't find the transaction you need to cancel, then check your date settings in Subscriptions > Options to ensure that your date range includes the date of the transaction you wish to cancel.